Stunning award-winning photographs were compiled to create this beautiful commemorative book for General Motors. 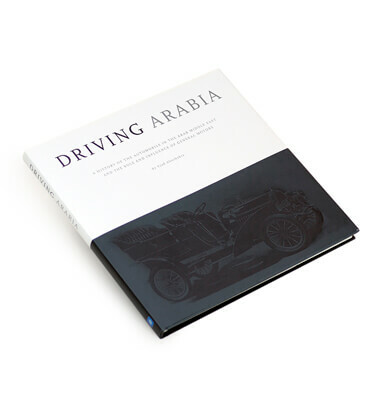 The book is a pictorial history and an articulation of General Motors' significant role in the automobile industry of the Middle East. The attractive coffee table read charts the company's proud rise and is a wonderful gift for their VIP customers, dealers and industry associates. Explorer continues to produce and distribute such books for our retail network of over 450 outlets across the UAE, GCC and beyond.